City walks specific to gorups booked in advance, not regular. Glasgow is the largest city in Scotland. 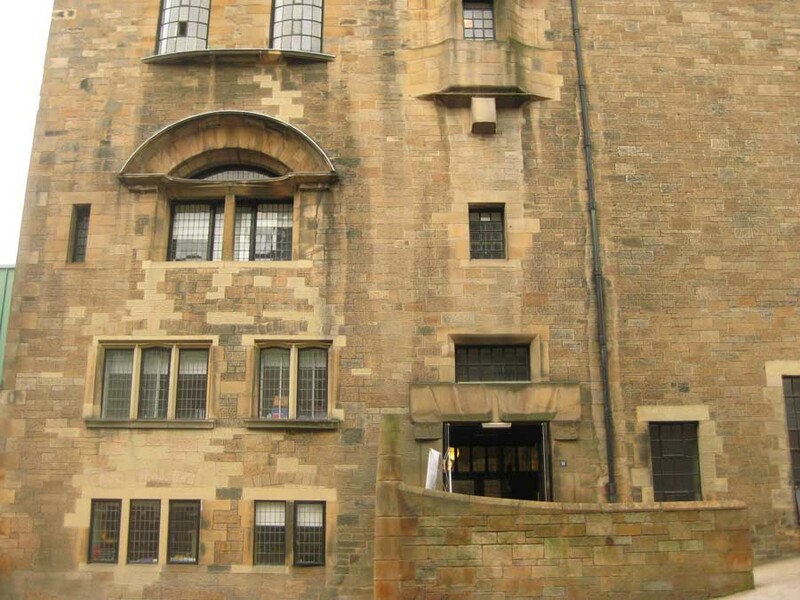 It has a wealth of architectural interest from Rennie Mackintosh’s School of Art building (The Mac, currently partly under serious restoration after the fire) to Alexander ‘Greek’ Thomson’s buildings. 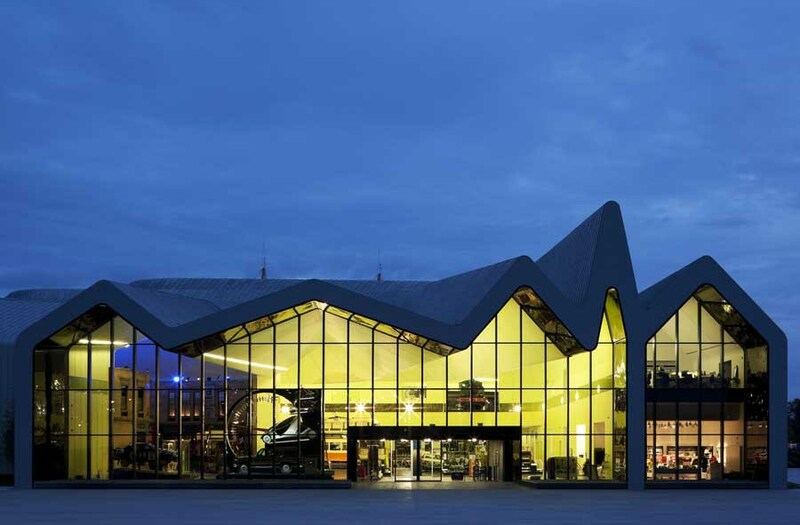 More recently buildings by world-famous architects Zaha Hadid, David Chipperfield, Foster + Partners and local architects Page & Park, Elder & Cannon and gm+ad architects have brought interest to the city. 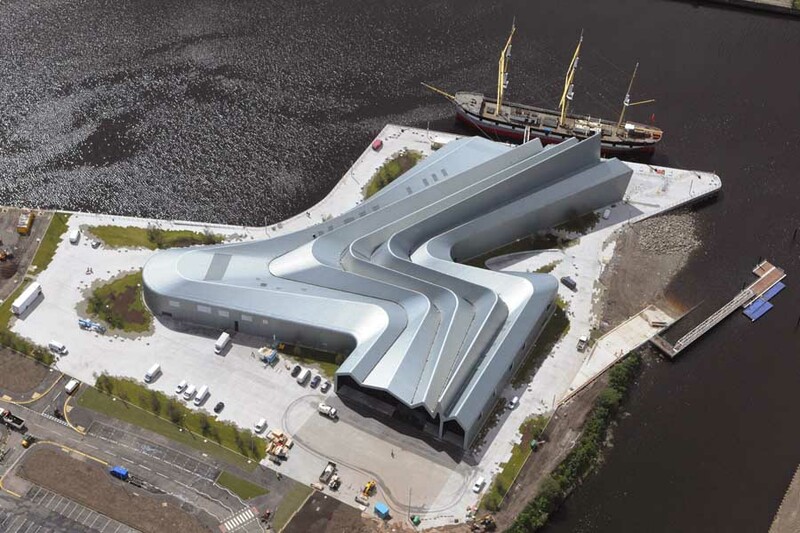 The latest major building in the city is the Riverside Museum. 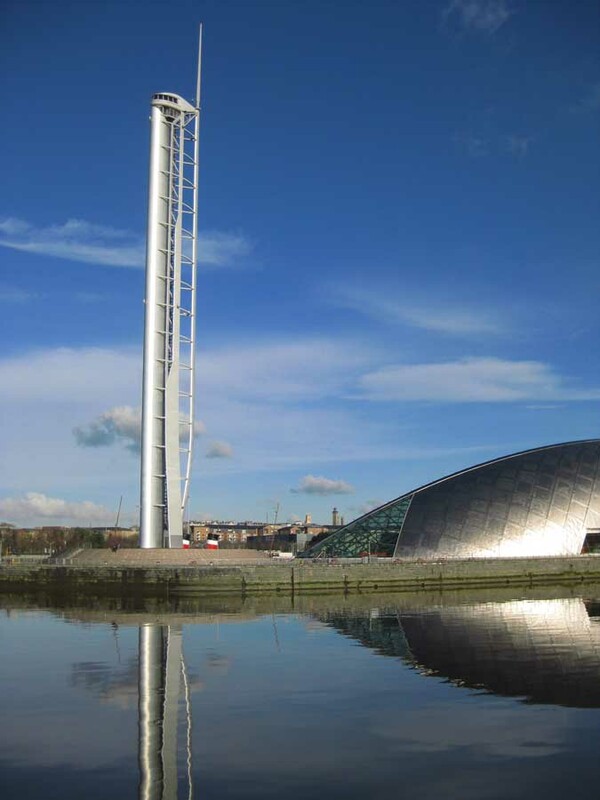 Key recent building design include The Hydro by Foster + Partners and also the various venues for the Commonwealth Games in 2014. These buildings can be visited on our Glasgow Walking Tours. 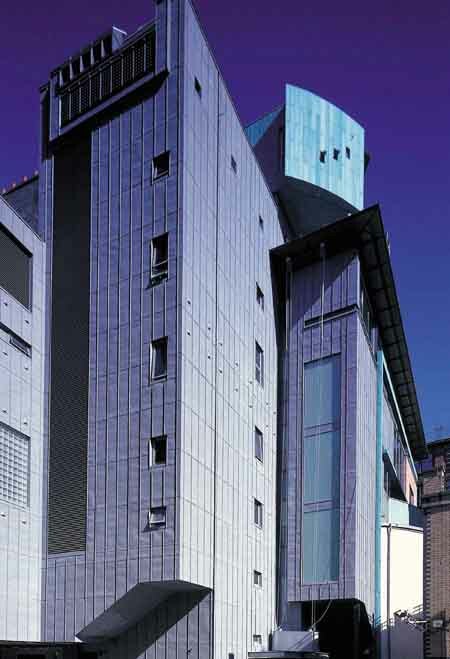 Glasgow Walking Tours can focus on the more historic buildings, contemporary buildings or a mix of both. 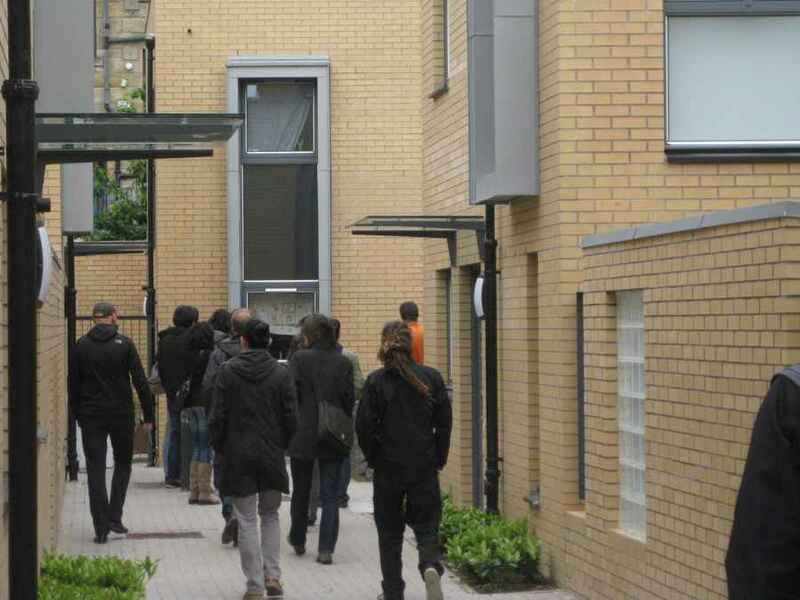 The Glasgow Architecture Tour can be an introduction to the city’s main buildings or we can be tailor it to your group’s specific interests. I am speaking for all, when I announce that we were very satisfied with the guided tour to Glasgow on Sept. 28th. Adrian did a very good job. We felt well informed, but not over fed. The flow between sights and buildings was harmonious. Time was kept all along, and Adrian was very helpful and flexible with our wishes. I/we will warmly recommend e-architect. Our Glasgow Architecture Tour on 28 Sep 2013 for an architectural contingent from Denmark – we visited a wide range of buildings on the city walking tour from the School of Art, CCA, Spectrum, Radisson, The Lighthouse to Homes for the Future. 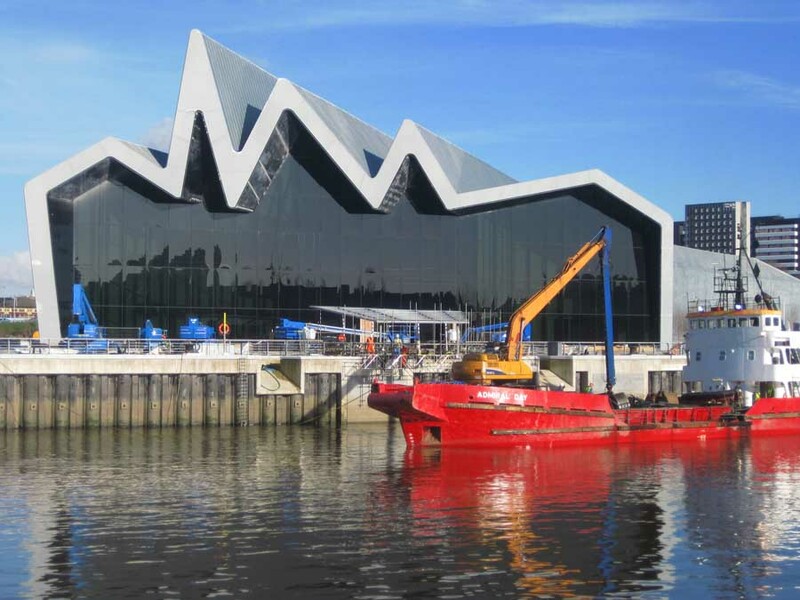 In the afternoon on the bus tour we visited Crown Street housing, House for an Art Lover, the Science Centre, The Hydro and the Riverside Museum – the highlight for the group being Zaha Hadid’s building. The walking tours (for around 150 people) went really well and I am sure all my delegates really enjoyed it. We did have quite a few no shows on the evening but it was a horrible rainy night so I guess that was going to happen. Thank you again for all your help. We completed a seven hour tour of the city for visitors from Spain and England, taking in most of the key buildings from the Burrell Museum to the Riverside Museum, Homes for the Future to School of Art building. The highlight of the walking tour? I would say the interior of the School of Art. We were delighted to show a group of Finnish visitors around the city today – Building Control board members from all over Finland: highlights were the tour around Hillside Primary School and the visit to the Italian Centre (the sun came out at that point, such a pleasant urban space). 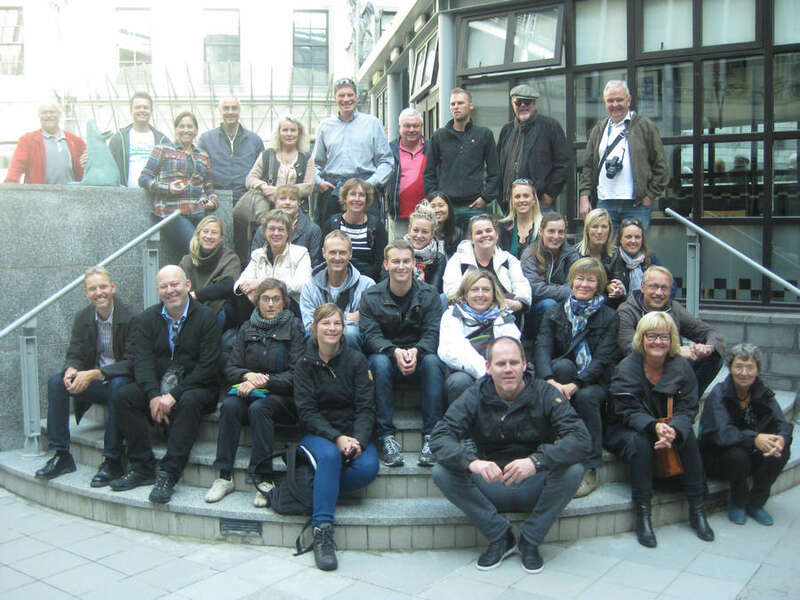 The tour was a mix of walking and touring by bus and tailored to the specific preferences of the group. A group of architecture students from The Netherlands will be our next group of architectural visitors to the city, in early May. 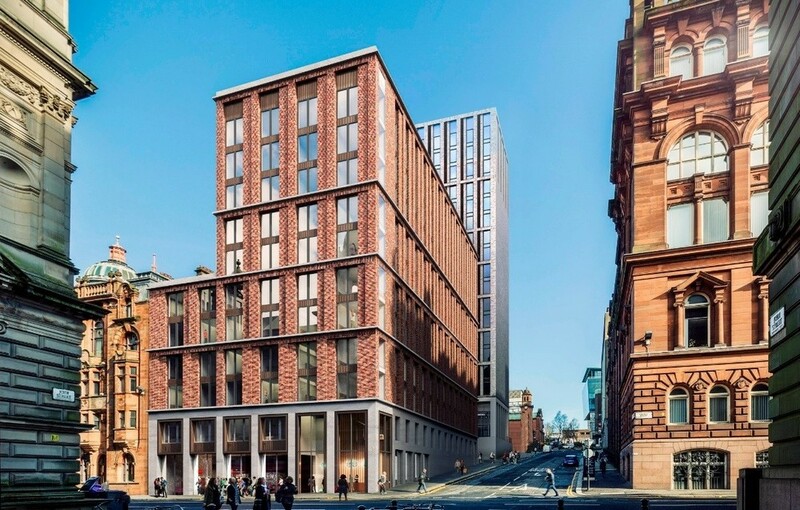 We can provide basic advice for Walking Tours of Glasgow as you start your visit preparations – about types and areas of buildings in Strathclyde. 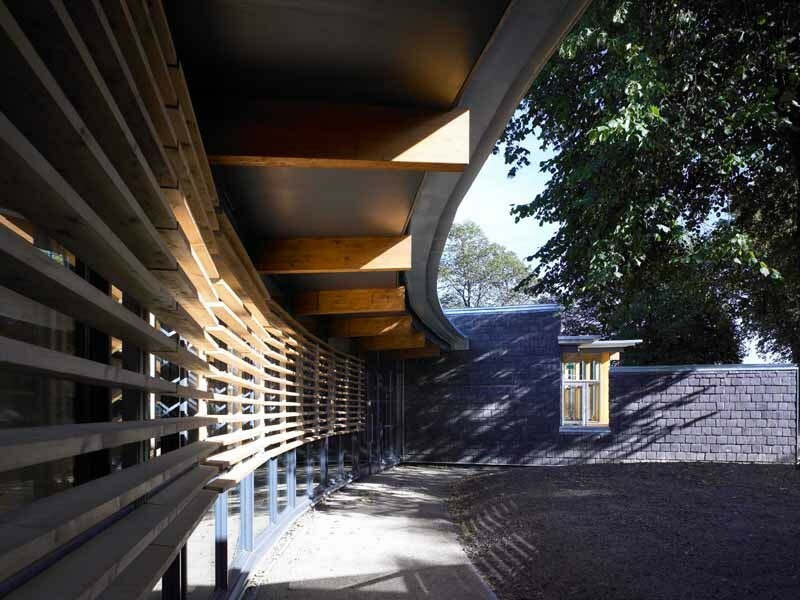 We generally do Glasgow Architecture Tours for groups but individuals are welcome to contact us for prices. We have a standard 3-hour tour through the city centre, taking in a mix of old and new architecture. Typically this is supplemented with a bus tour to outlying buildings in the city, such as The Burrell and the Riverside Museum. A tour destination outwith the city that is sometimes requested is Hill House in Helensburgh (by architect Rennie Mackintosh) but it takes about 45 minutes to get there and admission is not free. 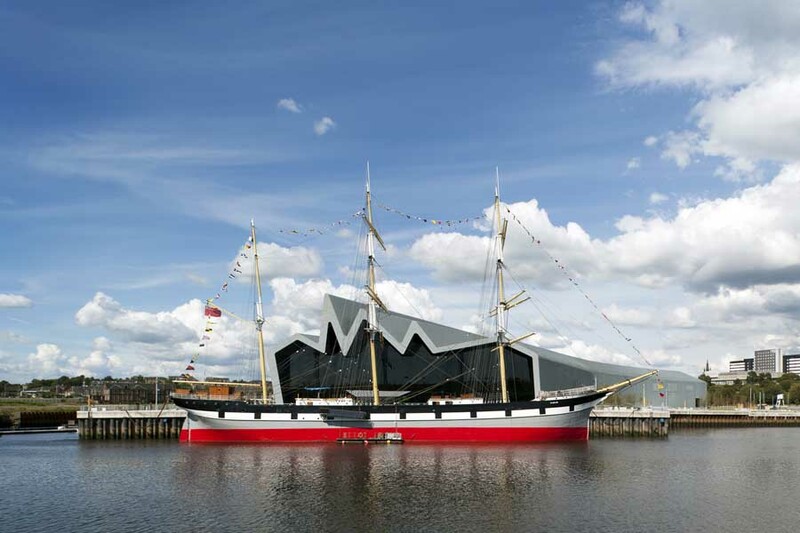 We can assist with developing your group’s programme ahead of your Glasgow walking tour. If the you wish to focus your trip on say Strathclyde office buildings or Scottish social housing then we can advise on a logical route. Occasionally architects meet up with our Glasgow Walking Tours if a specific building is of interest. We can take visitors to the Commonwealth Games buildings but please note much of the site is still under construction. A bus is required for tours of this location as the area is outwith the city centre. If there are specific buildings you wish to visit in Scotland please contact us, we also do architectural tour routes in Edinburgh. Please note that arranging restaurants, buses, etc. for a tour carries an additional fee. Payments must be made in full prior to the Scottish architectural tour. e-architect also organise architecture walking tours in other European cities such as Edinburgh, London, Cambridge, Liverpool, Barcelona, Copenhagen, etc. We had a very good time in the city: I have the impression that everybody was very satisfied! As for your walking tour, we liked very much your intro about the the city’s historic development. Looking at the architecture of the different squares (Ingram, Italian Centre e.g), I found most interesting. And everything about Rennie Mackintosh was to the point! On Saturday we had a nice bus tour: We started out at Graham Square and Homes for the Future and then went on to the dockside building projects. After that, along the scottish countryside up to Loch Lomond. Even though it was rainy, the Gateway Visitors centre building was worth seeing. But the the rest of the centre was a dog! We had a nice lunch at the Duck Bay restaurant by the shores and then we went to see Hill House. Your advice about the Hunterian Museum really made our day: we finished our tour there! Thank you very much for guiding us: I won´t hesitate to recommend your Glasgow walking tours to other colleagues visiting Scotland! Other cities where architectural walks are offered include Manchester, Cambridge, Oxford, Birmingham, Leeds, Newcastle and Sheffield. If there is one building in Glasgow you shouldn’t miss it is this one. It features in most histories of world architecture and is a key work of the early 20th Century. 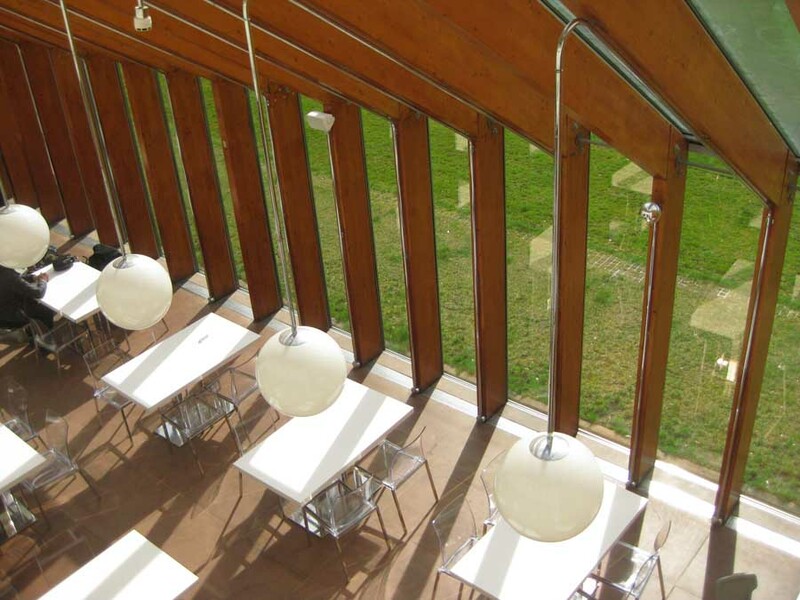 Internal achitecture tours need to be booked in advance and have a cost. If you are really short of time and can only visit two Glasgow buildings then this is a good option, but not the only one. 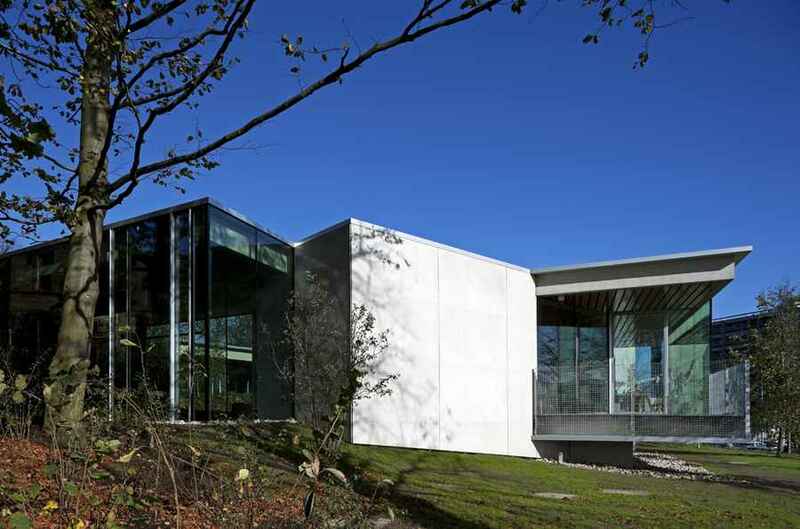 It is designed by one of the world’s most celebrated living architects and this is her only Scottish building, opening in 2011. 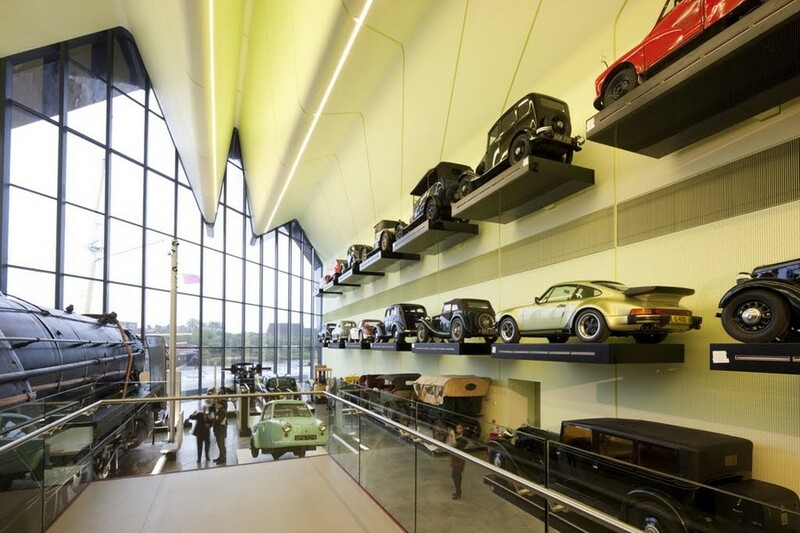 Apart from the architecture the Transport Museum is well worth a visit anyway to walk round the fascinating exhibits that map the city’s industrial past. The Science Centre is located at Pacific Quay and although it is a little windswept down on the River Clyde there are a whole series of interesting new buildings by well known architects in this area, on both sides of the river: the BBC Scotland building, the new The Hydro arena and the Clyde Auditorium – better known as the Armadillo. There is also historical interest here in the old docks and the Titan Crane, memories of the city’s industrial heritage.